Help (Need more information on how to earn credits from searching? This page is designed specifically to help members that want to add keywords to the Webmasterquest Search Directory. By bidding on specific keywords your quality of traffic will be much higher and should convert into higher sign-ups and sales. How do I add keywords to my account? How come it won't allow me to add my keyword? to any site in your account by clicking on My Sites and then selecting EDIT to fill in the site description field. Can I see my own site if I perform a search on my search term? Can other members just keep clicking on my search link to earn credits? 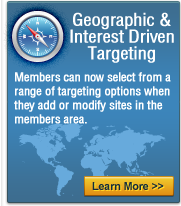 No, search credits are awarded only once per 24 hours per member per unique keyword site. Credits will not be awarded for multiple clicks on the same site link. In my stats it says "Free Hits" and "Paid Hits". What's the difference? 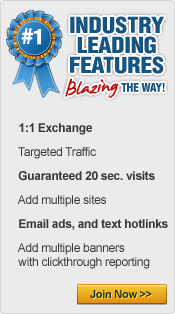 your link, and have viewed your site for a minimum of 30 seconds to earn their search credits. The CPC search will only find the same keywords as the one you are searching for. Searching for "traffic" will only show sites that have paid for "traffic" and will not include sites for example with the keyword "free traffic". You cannot search for part of a keyword either, you need to type the keyword in exactly to find any sites.